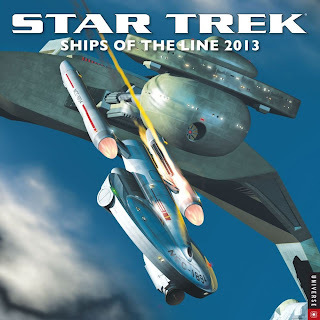 A longtime favorite among serious Trekkers and casual fans alike, Star Trek 2013 Wall Calendar: Ships of the Line gives Star Trek features spectacular illustrations of the ships and vessels from the various series, films, and Starfleet history. Each spread takes the viewer into the very heart of the Star Trek universe. * Twelve beautifully rendered illustrations feature all the action, drama, and painstaking detail by fan-favorite illustrators. * Great moments from Star Trek history--famous battles, first encounters, and early milestones in interstellar travel--are brought to vivid life by these dedicated, passionate illustrators. * The unique horizontal format maximizes the image space without sacrificing practicality or detail. 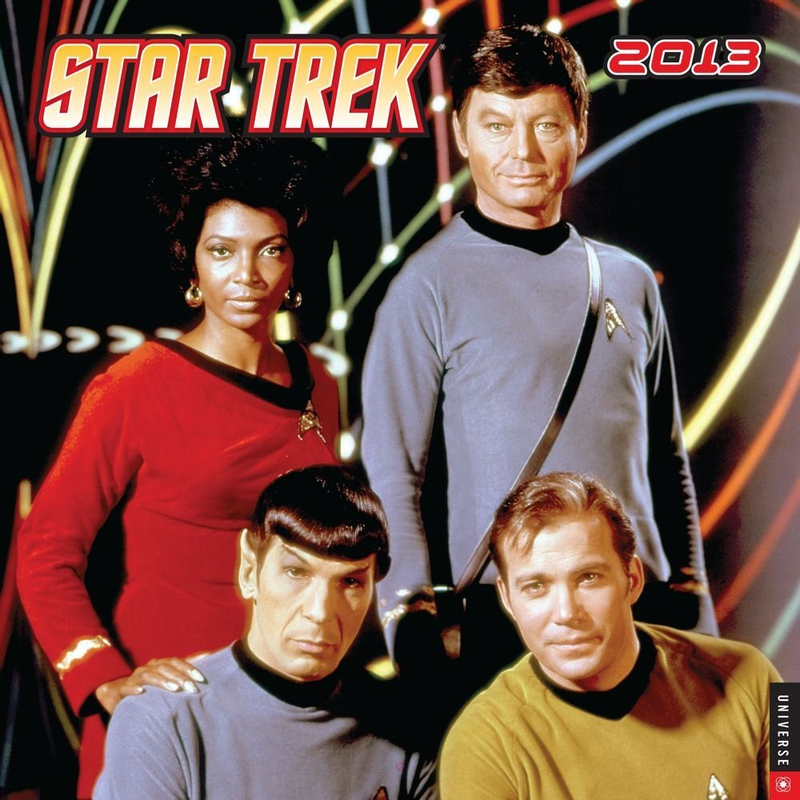 Led by Captain James T. Kirk (William Shatner), first officer Mr. Spock (Leonard Nimoy), and chief medical officer Dr. Leonard McCoy (DeForest Kelley), the original adventures of the U.S.S. 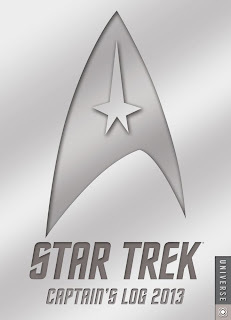 Enterprise have inspired an entire universe of television series, blockbuster films, novels, and games. * Featuring full-color photos of the entire original cast, including Lieutenant Uhura (Nichelle Nichols), Lieutenant Sulu (George Takei), Ensign Chekov (Walter Koenig), and Mr. Scott (James Doohan). * Sleekly designed with the original series’ s iconic retro-futuristic inspiration, this calendar makes a cool, sci-fi addition to any home, office, dorm room, or work space. The sci-fi fanatic's ultimate calendar, Star Trek Captain's 2013 Day-to-Day Calendar features quotations from each of the franchise's television series and films, lore from the Star Trek universe, and trivia from over four decades of Trekker mania. 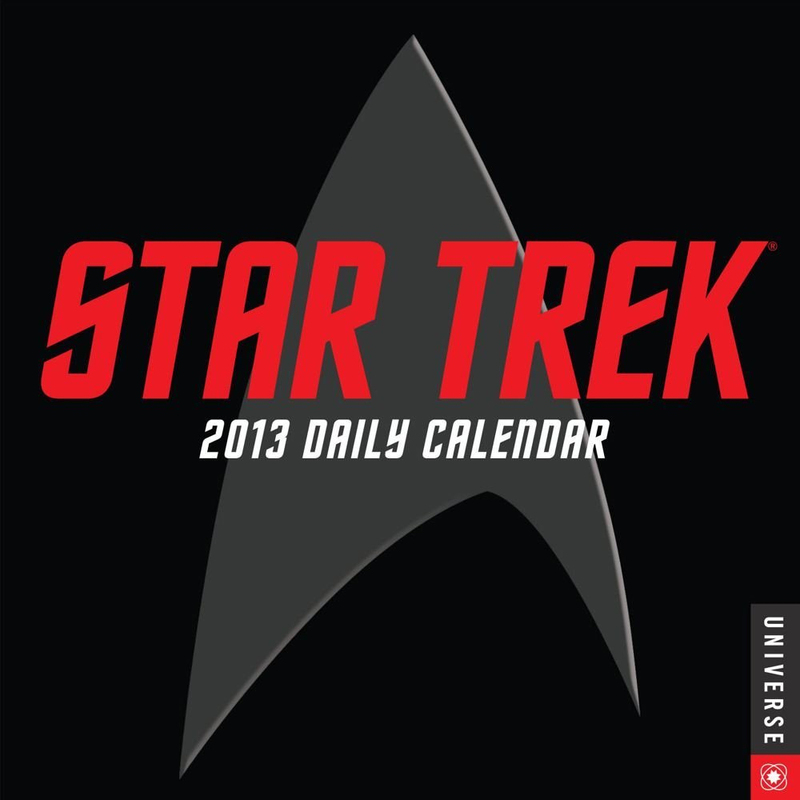 * Covering all things Star Trek, the Star Trek Captain's 2013 Day-to-Day Calendar offers a daily glimpse of an exciting, ever-expanding futuristic universe--sure to enliven any cubicle, desk, or work space. * Fans will find iconic lines including "I'm a doctor, not a magician" (Dr. McCoy) and lore, including how the Romulans are related to the Vulcans. One of the true hallmarks of the entire franchise, the captain's log has played an iconic role in every Star Trek series and film. * The Star Trek Captain's Log 2013 Engagement Calendar is a 16-month engagement-style calendar that features images, quotations, and reflections from all of the Star Trek captains, including Captains Kirk and Sulu (the original series and later films), Jean-Luc Picard (The Next Generation), Benjamin Sisko (Deep Space Nine), Kathryn Janeway (Voyager), and Jonathan Archer (Enterprise). * Smartly designed, with a sleek, futuristic look, this calendar is perfect for captivate casual fans and die-hard Trekkers alike.